A picture can evoke a thousand emotions. Here’s one that reminded me of my childhood. This is a picture of a kuniyo (harvested rice piled before it’s thrashed). I grew up in a farming community (playing around similar kuniyos when I was a kid, and planting, harvesting, and thrashing rice and building kuniyoswhen I was a teenager). In my novel, The Fate of a Moth, my characters go around the village during harvesting season, wearing smiles in their weathered faces, as if nothing will ever go wrong, as if no unhappiness will ever return to their lives. 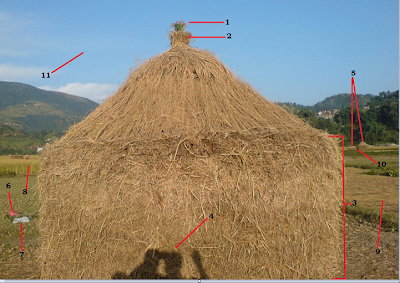 *I thank Rabindra Giri (of Syangja, Nepal) for this picture.